Hard wearing traditional wooden dining charge that is finished in Walnut and delivered free of charge to any UK mainland address as standard within 3-5 working days from order. 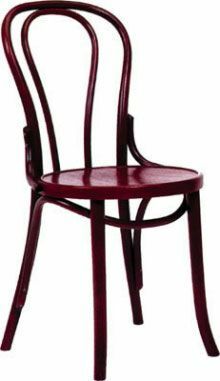 Charming design wooden bistro/ restaurant chair available in an attractive Dark Walnut finish. This chair is perfect for a classy cafe environment. Expect a 3-5 working day lead time for this item.